Angell makes his way back to the Americas after trekking across Central Asia and China and sailing the South China Sea to Indonesia. In the meantime, the search for the missing professor and the all-important book consumes Dwight Monroe and his team, while a string of murders in New Orleans baffles Detective Cuneo and brings NYPD Lieutenant Wasserman out of retirement. At the same time, Jamila, the young Yezidi woman with a strange paranormal ability and a deadly aim, finds herself on a mission in the United States to take out the man who destroyed her village. And a distraught mother whose two sons were abducted by a sinister being is now pregnant with another child and travels around the country looking for answers in gatherings of UFO contactees and the rites of a voodoo priestess where she will have to confront a mind-bending truth. They all find themselves drawn together at a building in one of America�s iconic cities at a house with a bizarre architecture that is based on a strange but sacred geometry�a geometry that�s designed to call down something from the stars. 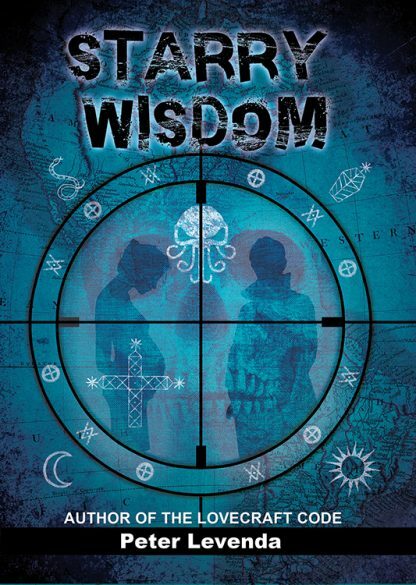 Based on themes from the works of H. P. Lovecraft, especially �The Haunter of the Dark� where the mysterious Shining Trapezohedron makes its appearance, Starry Wisdom ties together the various strands of occult knowledge, political intrigue, and pop culture that are woven through the first two books. Hailed by author Christopher Farnsworth (Red, White and Blood, and The President�s Vampire) as a �more intelligent Da Vinci Code� and by Whitley Strieber (Communion, The Wolfen, and The Hunger) as �a riveting work of fiction,� this book will thrill ancient aliens� fans and Lovecraft aficionados and is supported by the genuine scholarship of occultists, terrorists, military leaders, and intelligence agents.